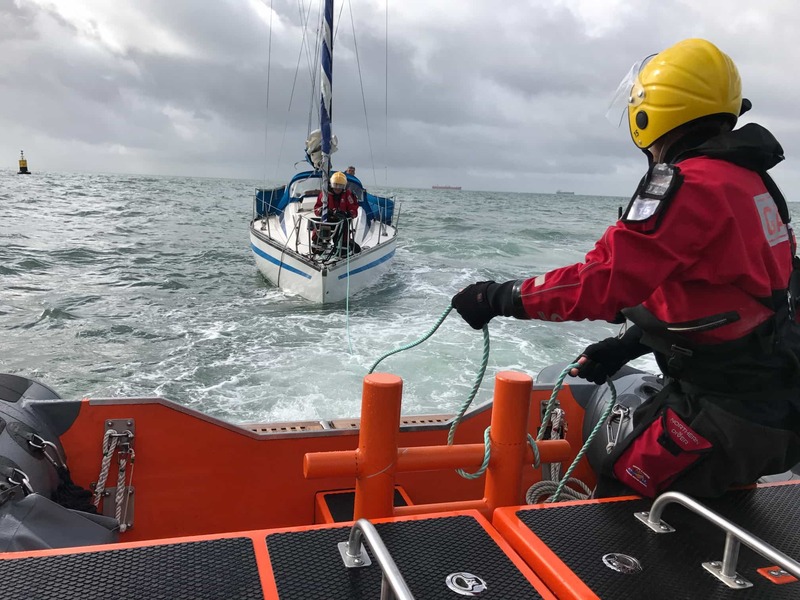 A single-handed sailor who got into trouble on his way back from France to Portsmouth was assisted by rescuers on Friday. 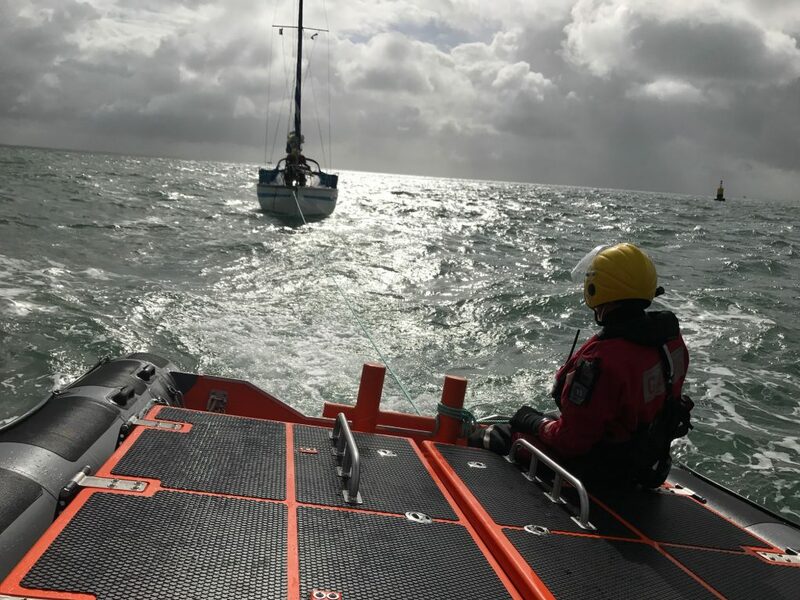 The skipper of the 24ft yacht called UK Coastguard for assistance when a sail got caught in the boat’s propeller in the middle of the English Channel and knocked out drive. Gosport & Fareham Inshore Rescue Service (GAFIRS) was paged by the Coastguard at 0806 and located the casualty vessel off Horse Sand Fort in The Solent. In total the operation lasted three hours and was the 42nd of the year for GAFIRS. Just 24 hours later the volunteer lifeboat crews were in action again when they were tasked to assist a nine-metre RIB which had broken down and was being swamped by waves on the beach at Lee-on-the-Solent. The vessel, which had three people on board, was taking on water, so two GAFIRS crewmen used a salvage pump to remove the water. It was then taken under tow to Haslar Marina where it was placed safely alongside. 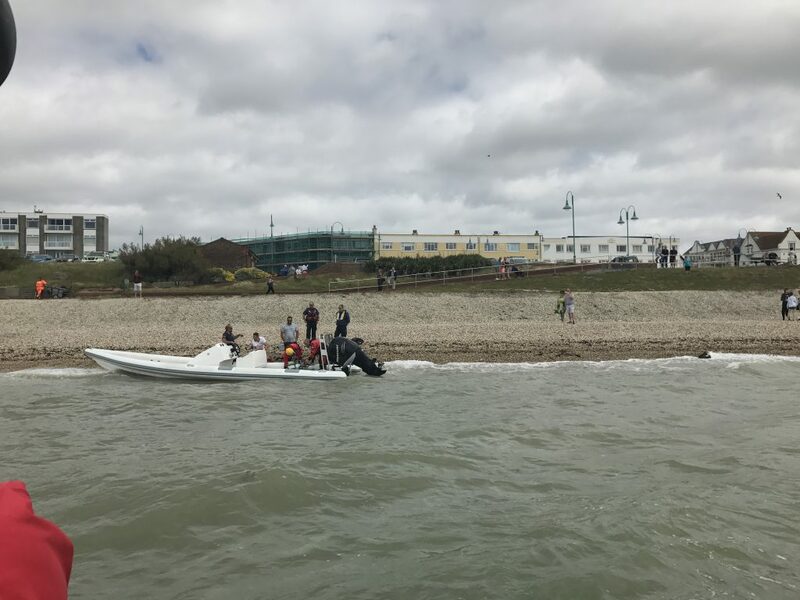 As Gosport independent lifeboat was leaving the harbour to return to its base at Stokes Bay, Gosport, crews offered to assist a third vessel which had been struck by engine failure. Working with Portsmouth Volunteer Harbour Patrol, GAFIRS lifeboat put the vessel in an alongside tow and placed it alongside in its berth. So far this year GAFIRS has been called into action 44 times – 10 times in the last nine days alone. GAFIRS is completely independent of the RNLI and relies on public donations to keep it afloat.